With less than a month to go before their first-ever game, the Lower Mainland’s newest professional sports team have unveiled the uniforms they’ll be wearing. 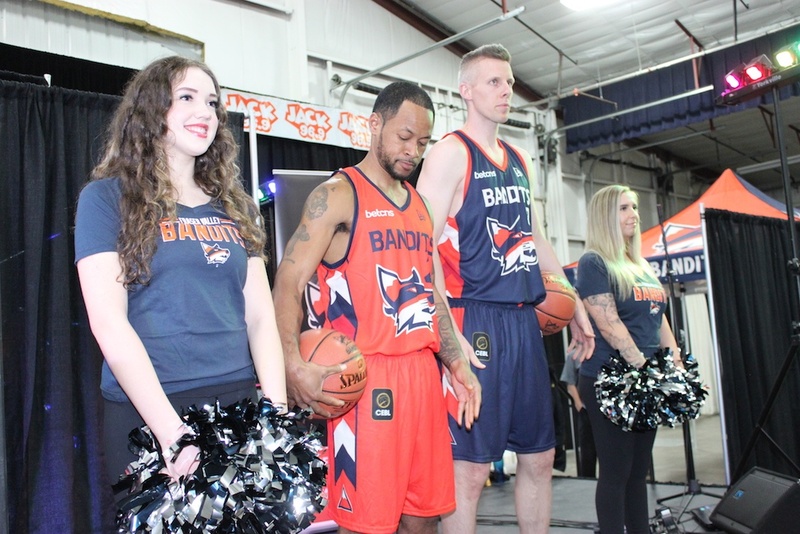 After already showing off their slick fox logo last summer, the Fraser Valley Bandits unveiled blue and orange coloured jerseys at the Tradex in Abbotsford on Saturday. “These jerseys are emblematic of the geography and culture that defines the Fraser Valley, and have been crafted by New Era Cap to illustrate the beauty of the Valley and to reflect the toughness and competitiveness that the Fraser Valley Bandits will play with each and every night,” said team president Lee Genier in a media release. 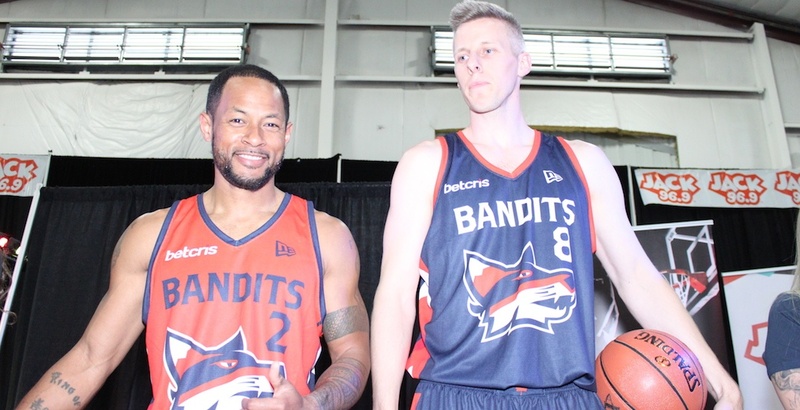 Playing out of the 7,046-seat Abbotsford Centre, the Bandits will begin play in the inaugural season of the new six-team Canadian Elite Basketball League (CEBL) on May 9. The CEBL will play a 20-game regular season, which stretches until August. Other cities in the all-Canadian league include Edmonton, Saskatoon, Guelph, Hamilton, and St Catharines. As a summer league, the CEBL has attracted a number of Canadian and American players who earn a living in European pro leagues during the traditional winter season. 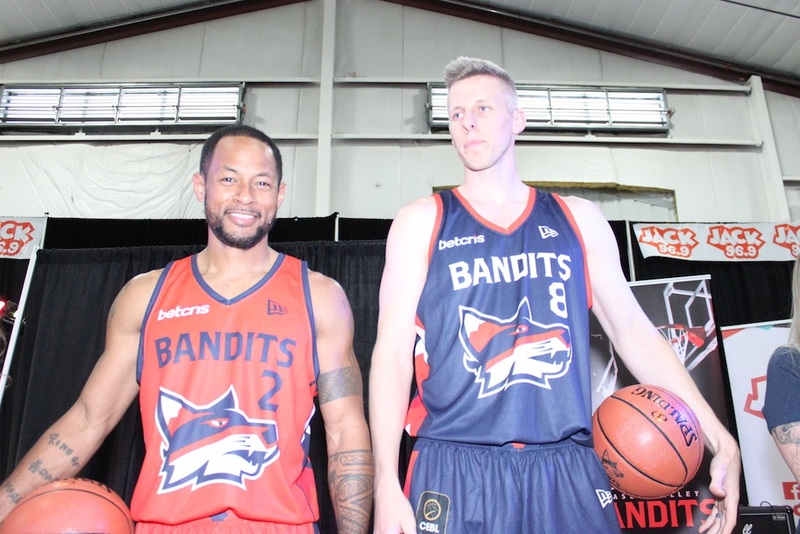 The Bandits’ roster features a number of players with NCAA and G League/European pro experience, as well as current and former Canadian national team members. Longtime national team member Levon Kendall is one seven BC-born players on the team, which also includes first-round draft pick Joel Friesen, an Abbotsford native. The tallest player on the team is Dallin Bachynski, a 7-foot former G League centre from Calgary who has experience playing pro ball in Poland, Argentina, Spain, England, and Japan. The Bandits are promising a fan-friendly atmosphere at games, with mascot “Berry the Bandit” and a dance team adding to the fun.